One thing for sure is if you are looking for some easy Key West Flights a bit of planning is required. Although Key West is the Florida destination of choice for thousands of visitors each year, you cannot expect to just grab a flight straight into Key West on one of the main commercial jetliners. But don't worry about that, as getting to the Florida Keys is as much fun as being here. Well......perhaps that isn't quite true, but certainly it will be memorable. Let us break down your options into the cheaper and then the luxury. 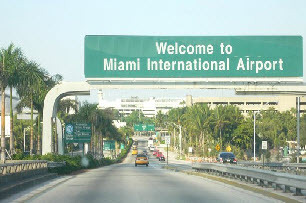 We will start with commercial Key West flights entering Key West International Airport. Key West Airport had a huge renovation in 2009, as quite frankly the urgency that people showed to get to Key West made it a must. And quite frankly who can blame them. So at a cost of over 31 million dollars it doubled in size and allowed for greater access than every before. Which of course was good news for the "Conchs" who use the airport to come and go from.